A production duo known as Caked Up has been getting Soundcloud buzzing, landing at the top of the charts with the most plays on their remixes. The lasted release is a remix of Vic's "Turn Up," which is a trap heavy banger. 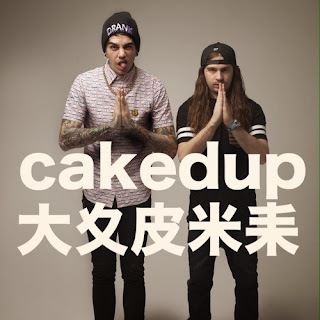 The duo consisting of Oscar Wylde and Vegas Banger have some of the best trap productions out right now and their plays on Youtube or Soundcloud prove that. While this mix is not as strong as some of their previous efforts (like this "Wrecking Ball" remix), it's still a solid tune to add to their impressive resume.